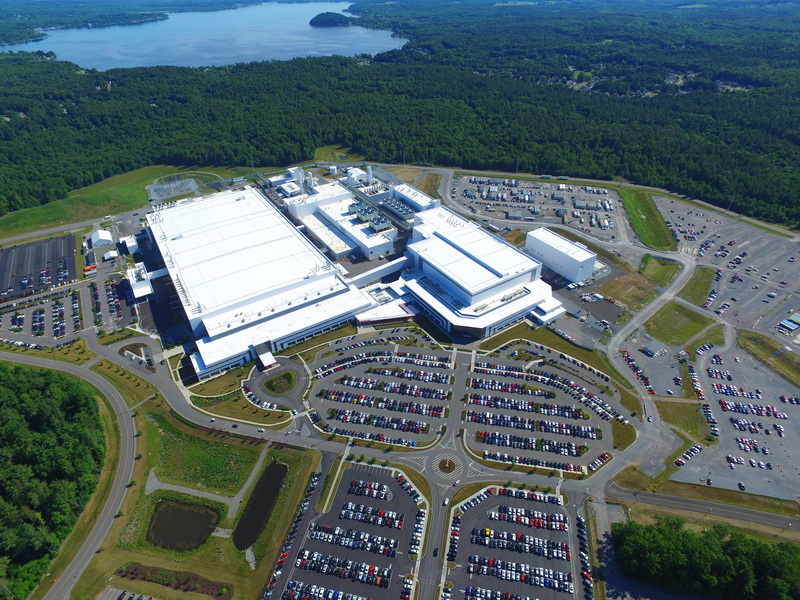 GlobalFoundries on Monday announced an important strategy shift. The contract maker of semiconductors decided to cease development of bleeding edge manufacturing technologies and stop all work on its 7LP (7 nm) fabrication processes, which will not be used for any client. Instead, the company will focus on specialized process technologies for clients in emerging high-growth markets. These technologies will initially be based on the company’s 14LPP/12LP platform and will include RF, embedded memory, and low power features. Because of the strategy shift, GF will cut 5% of its staff as well as renegotiate its WSA and IP-related deals with AMD and IBM. In a bid to understand more what is going on, we sat down with Gary Patton, CTO of GlobalFoundries. GlobalFoundries was on track to tape out its clients’ first chips made using its 7 nm process technology in the fourth quarter of this year, but “a few weeks ago” the company decided to take a drastic, strategic turn, says Gary Patton. The CTO stressed that the decision was made not based on technical issues that the company faced, but on a careful consideration of business opportunities the company had with its 7LP platform as well as financial concerns. It is noteworthy that when GlobalFoundries first announced its 7LP platform in September 2016, it said that it would start risk production of processors using this technology in early 2018 (PR), which means that the first chips should have been taped out before that. When the company detailed the process in June 2018, it said that it expected to start “volume production ramping in the second half of 2018” (PR), which would be close to impossible if customers taped out their first chips only in Q4. Generally, it looks like the company had to adjust its roadmap somewhere along the way, moving the start of high-volume manufacturing (HVM) further into 2019. Whether or not these adjustments had any implications on GlobalFoundries is up to debate. Keep in mind that AMD’s first 7 nm product was designed for TSMC’s CLN7FF from the beginning, so the company did not bet on GF’s 7LP in late 2018 anyway, and no rush with the manufacturing technology was needed for GF’s key customer. Along with the cancellation of the 7LP, GlobalFoundries essentially canned all pathfinding and research operations for 5 nm and 3 nm nodes. The company will continue to work with the IBM Research Alliance (in Albany, NY) until the end of this year, but GlobalFoundries is not sure it makes sense to invest in R&D for ‘bleeding edge’ nodes given that it does not plan to use them any time soon. The manufacturer will continue to cooperate with IMEC, which works on a broader set of technologies that will be useful for GF’s upcoming specialized fabrication processes, but obviously it will refocus its priorities there as well (more on GF’s future process technologies later in this article). 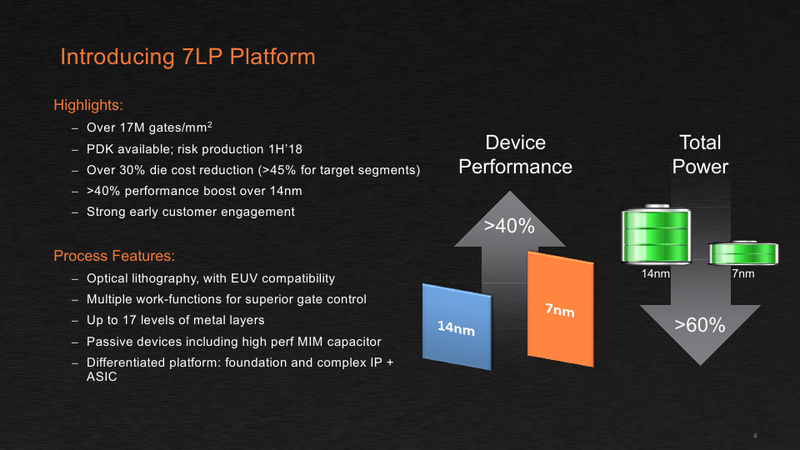 So, the key takeaway here is that while the 7LP platform was a bit behind TSMC’s CLN7FF when it comes to HVM – and GlobalFoundries has never been first to market with leading edge bulk manufacturing technologies anyway – there were no issues with the fabrication process itself. Rather there were deeper economic reasons behind the decision. As we noted in our article covering GlobalFoundries's new CEO hire earlier this year, former CEO Sanjay Jha was never able to make the company profitable. His key tasks were to increase GlobalFoundries’s sales, streamline the company in general, and ensure that it executes its roadmap. To address the needs of the manufacturer’s traditional key client (AMD) and ensure that his company was competitive against other contract makers of semiconductors, he licensed Samsung Foundry's 14LPP fabrication technology. That strategy worked well. With Sunjay Jha at the helm, GlobalFoundries has managed to land a variety of new customers and increase its sales of semiconductor wafers from approximately $4.121 billion in 2013 to $6.176 billion in 2017. Besides, the foundry’s leading-edge Fab 8, which has been processing wafers using exclusively 14LPP process technology for well over 1.5 years now, is running at full capacity. To ensure that GlobalFoundries remains competitive against Samsung Foundry and TSMC in the long run, Sunjay Jha obtained IP and development teams from IBM (along with two fabs and a lot of obligations), and poured in billions of dollars in development of the 7LP fabrication technology platform. The latter would include three generations of manufacturing processes and, possibly, a custom high-performance technology available exclusively to IBM. While everything appeared to proceed smoothly with the 1st Gen 7 nm process (DUV only), the 2nd Gen 7 nm process (with EUV used for non-critical layers, such as padding) still needed some additional development investments, and the 3rd Gen 7 nm (with intensive usage of EUV) required even more money for development and further could require installation of additional EUV equipment. Meanwhile, there were two things to consider. First. If GlobalFoundries kicks off production using the 1st Gen 7 nm fabrication process, it would have needed to cure all of its teething troubles and offer its clients a roadmap forward. The latter would have included 2nd Gen and 3rd Gen 7 nm, but nothing stops there. Customers would have asked for 5 nm and then for 3 nm nodes. Meanwhile, you cannot tell your clients that you are packing up after a certain node and then hope that this node will be a success (the same is true for DUV-only 1st Gen 7 nm). Second. Development of leading-edge process technologies is extremely expensive. Every new node requires billions of dollars in investments. Those costs are eventually amortized over each chip the company makes, so to keep increasing R&D costs from driving up chip prices, foundries need to produce more chips. To make more chips, they need to either run multiple fabs that use the same process technology (these are going to cost $10+ billion in the EUV era), or build giant fabs that process a gargantuan number of wafers (these are going to cost $20+ billion in the EUV era). Meanwhile, GlobalFoundries has only one leading-edge fab featuring capacity of 60,000 wafer starts per month. 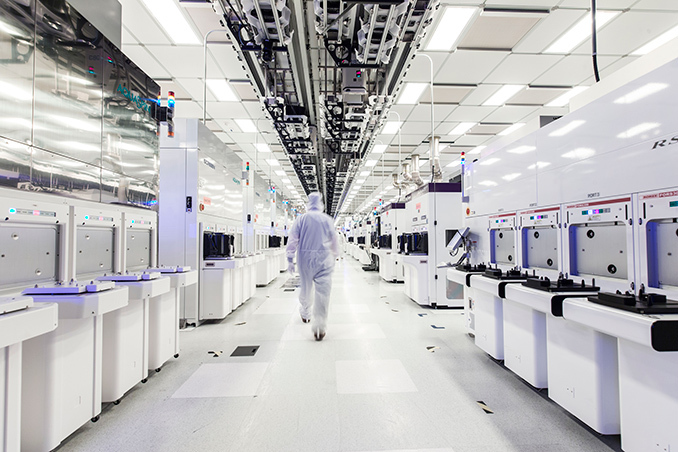 As a result, either GlobalFoundries has to pass these R&D costs on to the finite number of wafers it processes – and become uncompetitive against rivals in the process – or eat the costs with reduced profitability. 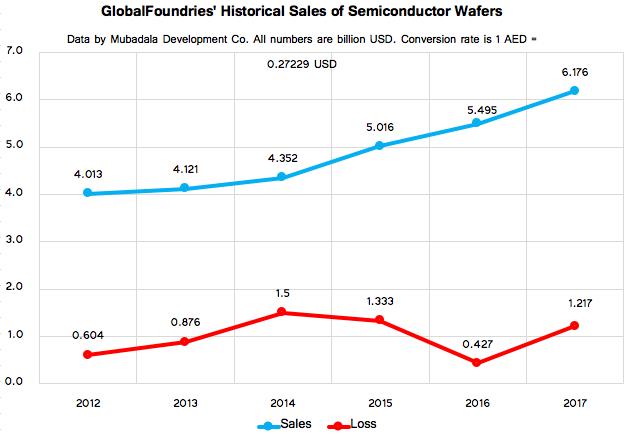 Meanwhile, having spent well over $20 billion on GlobalFoundries over the last 10 years, Mubadala, the owner of the company, is not inclined to lose more money or invest tens of billions in the hopes of becoming profitable one day. The investor wants GlobalFoundries to stop bleeding and start generating profits. Gary Patton admits that GlobalFoundries never planned to be a leading producer of 7-nm chips in terms of volume. Furthermore, the company has been seeing increasing adoption of its 14LPP/12LP technologies by designers of various emerging devices, keeping Fab 8 busy and leaving fewer step-and-scan systems for 7LP products. Without another big fab, it would be impossible to make any new leading-edge process technology competitive against Samsung and TSMC due to aforementioned scale reasons. Meanwhile, building a new fab (or even expanding the Fab 8 with another clean room module, which is something that GF considered several years ago) and creating another node or two would require another $10 – $15 billion from Mubadala, which is not inclined to invest just now. As a result, the GlobalFoundries has decided to switch entirely to specialized process technologies for emerging high-growth markets. This strategic shift enables it to reduce spending on R&D, slowdown procurement of new equipment, reduce its workforce by 5% (most of which will be in Malta), and potentially avoid direct competition against the aforementioned contract makers of semiconductors. according to the wiki (no, I didn't run the links :) ) the Z14 is a 6.1 billion chip. not, by any means, the highest transistor count among cpu. not the biggest, but big, by area either. Look at what Intel has done with 14nm, +, ++, etc. There's a lot of optimization left in leading edge hardware for the obvious reason that you're always time constrained -- you do things the safe way, you drop ideas that don't fit the schedule, and so on. IBM can certainly cruise for a few years (with both POWER and z) on just optimizing what they have at the µArchitecture and system level, sticking with GloFo's 14nm (which will doubtless pick up small improvements at the process level each year); looking at how they can exploit advanced packing (ie things like interposers or EMIB) and advanced memories (MRAM, Nantero, Optane, ...). That's not an ideal on-going situation, but it's absolutely feasible for a few years as the market sorts itself out and GloFo figures out its future. Maybe GloFo partners with UMC? Maybe they license Samsung's 7nm as soon as ASML can make enough machines? This clearly means that 5nm is so far ahead of schedule that GloFo will have it out in January! Because advanced lithography is SUPER EASY for literally everybody but those idiots at Intel.